The advancement in digital technology has welcomed many new trends over the last couple of years, and the payment industry is constantly evolving and adapting to keep pace. In 2014, we moved further towards a cashless society, and I believe this will continue in 2015, with a further decline in conventional retail banking. Digital services such as e-money accounts with linked debit and prepaid cards are quickly emerging as popular alternatives to traditional banking, not just in the UK, but around Europe and the rest of the world. The knock-on effect from this will result in a major shift this year, from current favoured online payment methods like credit cards and PayPal, to a broader set of online and mobile payment options. These will not only accommodate changes in the UK banking market, but also payment preferences from consumers beyond UK shores looking to purchase goods from British e-tailers. With consumers constantly looking for increased speed and ease of use, they will gradually turn to e-money accounts, which offer the benefits of a traditional bank account with the addition of increased privacy, reduced charges, faster responses and improved consumer interfaces. As the payment landscape continues to heat up, e-money accounts with linked prepaid cards have evolved and will encapsulate a new market of prospective users. I predict prepaid cards will become an important asset to the average consumer, proving to be a useful alternative to traditional credit and debit cards. For some, they can ensure their money is budgeted more wisely and for others, businesses and consumers alike, they offer a secure alternative for making wage transfers and for allocating employees with company cards. This signals change for traditional banking methods, as consumers increasingly move to online funds management – the need for personal interaction has been removed, thus causing the decline in bank branches. Conventional banking methods will become redundant, with e-money accounts and prepaid cards shaping the payment marketplace of the future. 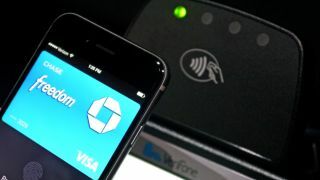 Mobile payments are also set to develop this year. Whilst mobile payments aren't new – Google Wallet and PayPal have been around for some time – the introduction of Apple Pay late last year is set to position Apple as the most powerful force in mobile payments. It has been indicated that 2015 will see these payment options enter into the UK market, and this will encourage the whole industry to adapt at a faster rate. Following the initial response from the US, UK retailers have the chance to prepare in advance and should anticipate that consumer uptake will be fast, so they will need to be ready to accommodate the widest possible customer base. Biometrics are also on the rise and though adoption has been slow in the more established Western European markets, this gradual evolution will continue further than just biometric authentication for payments on Apple devices. A WorldPay survey indicated that 49% of European consumers would most like to see biometric payments emerge as a payment technology alternative. In a new effort to move away from the use of passwords, Barclays is introducing voice recognition for users of its telephone banking service, as well as finger vein biometric scanners. The voice recognition system verifies customers based on their speech patterns and is being initially offered to Barclay's Wealth customers, with the rest of its 12 million customers to follow early this year. I see this as increasing throughout 2015 with more and more banks adopting this technique. With fraud losses on UK cards totalling £450.4 million in 2013, the addition of biometric data as part of an identity verification process would no doubt be welcomed by banks and improve user experience. Payment trends are constantly evolving in line with developments in technology, with those mentioned above as well as payments via social media and Bitcoin. Businesses need to ensure they can offer the widest range of options and keep up with the market trends to make sure they're meeting consumers' needs, which will in turn have a positive impact on their business.